As we dive into the holidays, it can be really tough to continue eating healthy and not indulge in all the delicious and delectable choices! From holidays parties to family dinners to work pot-locks, the temptations are endless. And unfortunately, most of the holiday meals will be weighed down with extra calories. Why not start a new trend with healthier versions of your favorite seasonal side dishes!? Sugar Free Cranberry Orange Relish - Prepare 2 boxes of Sugar Free raspberry Jell-O according to package. While waiting for Jell-O to set, mince fresh cranberries along with 2 fresh oranges with seeds removed using a food processor. Once Jell-O is set, combine all ingredients together with 1 can drained pineapple chunks and chopped walnuts if desired. Chill in refrigerator overnight for best results. 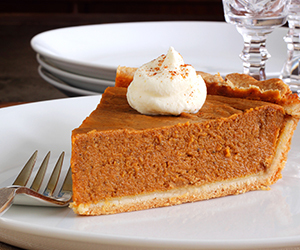 Fiber-Full Pumpkin Pie - Instead of just a pumpkin pie - we’re suggesting adding sweet potatoes and carrots to your recipe for added fiber and nutrients. Start with a healthy pre-made pie crust (like Whole Foods brand) and follow baking directions on label. Peel and dice 2 carrots and 2 sweet potatoes and boil until tender. Once softened, remove from stove and let cool. Puree carrots and sweet potatoes in blender and combine with 1 can pumpkin puree. Mix in 1 tsp cinnamon, 1 tsp nutmeg, ¼ tsp vanilla extract, 2 eggs, ½ can evaporated low fat milk, ¼ cup brown sugar if desired. Bake at 350° for 55 mins. Try this gluten free crust version as well! Reduced Fat Stuffing - Saute chopped onions, celery, and carrots in 1 Tbs EVOO until slightly translucent. Add 2 cups low sodium chicken broth and simmer 5 minutes. Combine breadcrumbs with sauteed veggies in a dish along with herbs of choice (we recommend thyme, sea salt, fresh ground pepper, sage, and parsley). Let sit for 5-10 minutes before serving. Savory Sweet Potatoes - Boil sweet potatoes approximately 30 minutes until tender. Remove from water, let cool, then peel the skin off and dice. Combine boiled potatoes into a baking dish along with ¼ cup dried cranberries, ¼ cup pecans, 2 Tbsp brown sugar, and 2 Tbsp EVOO. Mix ingredients together and bake uncovered at 375° for 30 minutes. Garnish with rosemary sprigs. Hold the Gravy - This may be one of the hardest items to pass up on Thanksgiving day, but it is also one of the smartest. Gravy is loaded with sodium, fat, and not much else! It’s tasty, but it’s a calorie king! Resist the Dark Side of Turkey - Opt for the lighter (leaner) turkey meat instead of the darker (richer) meat. If you can’t resist the dark-meat, try to limit your serving to 3 oz or less. Also, remove the turkey skin for even more calorie savings. We bet you’ve got some other ideas for healthier versions of this season’s traditional favorites as well. 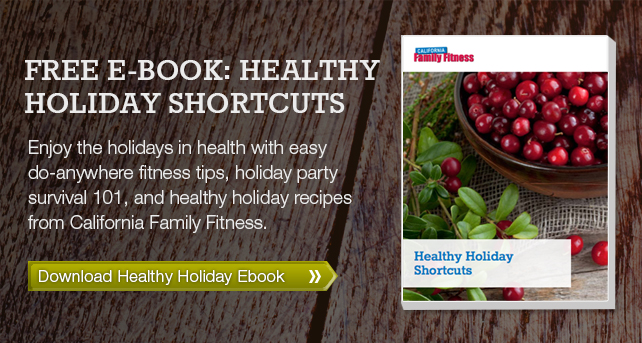 Don’t be shy about bringing something healthy to your Thanksgiving dinner. In fact, don’t spill the beans right off the bat! Let your guests fall in love with your dish before you share that they are good for you too! After you’ve had your fill of Thanksgiving dinner, don’t forget to take a family stroll outside or head to the park for some flag football!